Have you been keeping up with our series on Exit Intent Technology? We’ve written all about what it actually is, why you must be using them and now we’re going to give you our favourite exit intent popup examples. This pop up is from Green Mountain Mustard, and we like it simply for the wording. If your website sells only one product you can copy the, “You’re leaving without your mustard!” by inserting your own product name. We also like the, “No” option reworded as, “No thanks, I’d rather go buy ketchups”. Funny quips like this are far better than a simple, “No Thanks”. These days everyone loves a good hack. This one from Cosmopolitan plays on our curiosity. 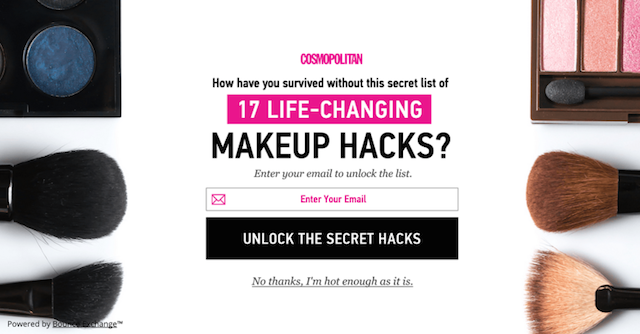 You give them your email and in return you get those all important hacks. There’s something about offering this extra ‘secret’ bit of information that just works. And of course you’ve got the “No thanks, I’m hot enough as it is” quip at the bottom there. 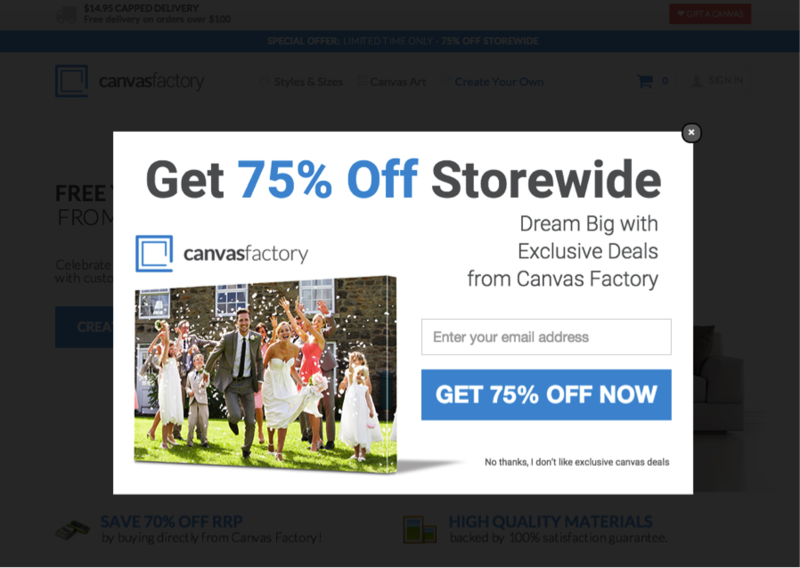 Here, Canvas Factory offer a massive 75% discount, which is really quite tempting. Although 75% seems quite excessive, they could get a healthy ROI if they utilise their contact details effectively. If larger discounts are still sustainable for you, then why not? 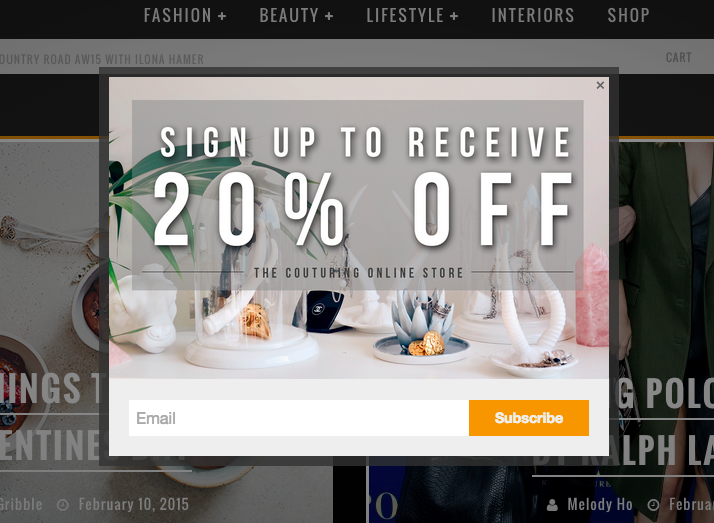 This popup from Lavinia Lingerie is incredibly simple in design but this just adds to its effectiveness. A simple background colour with the incentive in massive bold lettering, you can’t go wrong there. The customer has the option to still keep that 15% off, and they get to leave. In return for their email address that is, so it works out for everyone. Five Four Club’s exit intent popups use one of it’s own images as a backdrop for the popup, which we think is cool as it keeps within the aesthetic of the branding. It’s laced with a couple of benefits; you can get 30% off and receive a free pair of sunglasses. They don’t define exactly how, but that’s why you fill in your email and click “Tell Me More”. Zoo Shoo’s exit intent popup has an unusual discount number, but that word ‘Unlock’. Fill in your email and you can unlock the coupon. It’s just a good word, we like it. Also, having important parts of the popup outlined with the box is another feature about that we’d encourage – it’s organised. 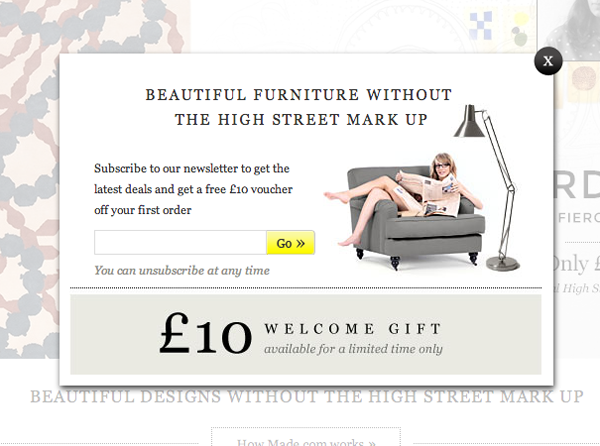 On the stagnant home page of Made.com a popup containing a £10 welcome gift pops up. Not only is there the incentive of the £10, but there are deals too. No biggie right? Wrong. Made know what they’re doing. On Made.com prices change daily, and if customers are after nice furniture on a deal they won’t want to miss it. 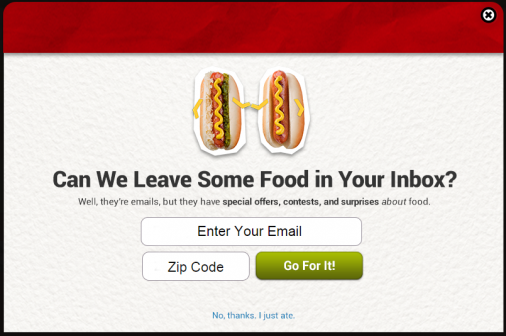 Exit intent popups from Grub Club are quite fun, we like the copy here and the element of honesty behind it. “Well, they’re emails but they have special offers, contests and surprises about food.” The humour in there makes it more appealing and sticks to the company’s voice. Pure Dog Food sees when you’re about to leave and asks “Unsure of what recipe to try?” probably because this dog food is close to £100 and they understand the price might be unappealing. 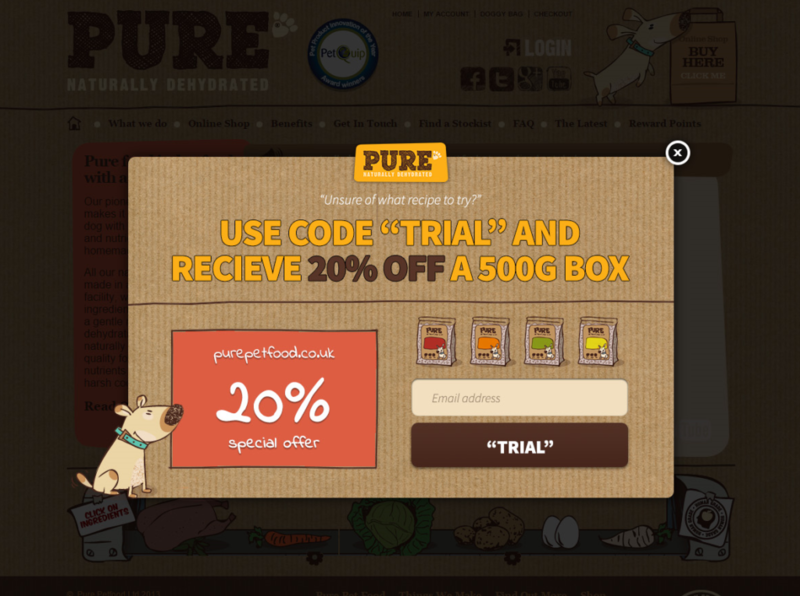 By offering a 20% special offer and a “trial” call to action, they give those unsure customers something to think about. 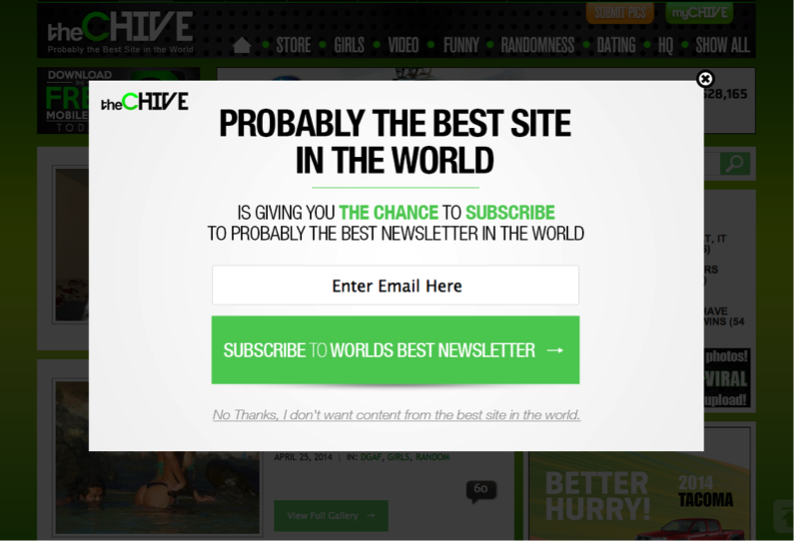 The CHIVE, a website dedicated to “funny stuff” displays a popup containing the same humour they’re all about. “Probably the best site in the world”, “Probably the best newsletter in the world”, and “I don’t want content from the best site in the world” half convince you to put your email in just to see if they’re exaggerating massively on their claims. The arrogance in their copy is funny enough for you to call their bluff. This popup from Triad Landscaping has a pretty insane deal. 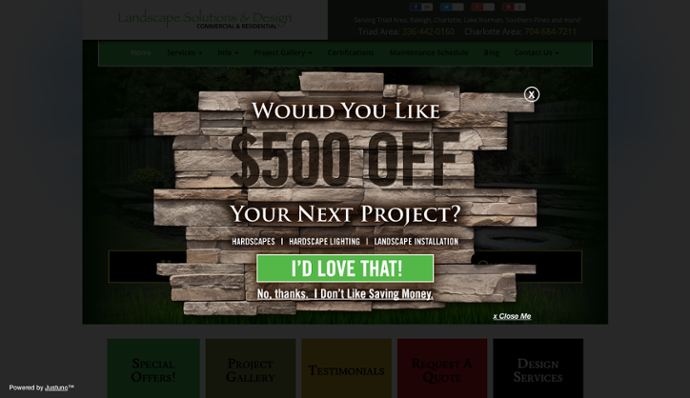 $500 off your next project? There’s no surprise their call to action button is “I’D LOVE THAT!” Also the “No thanks, I don’t like saving money”, is designed to make you feel silly for saying no. 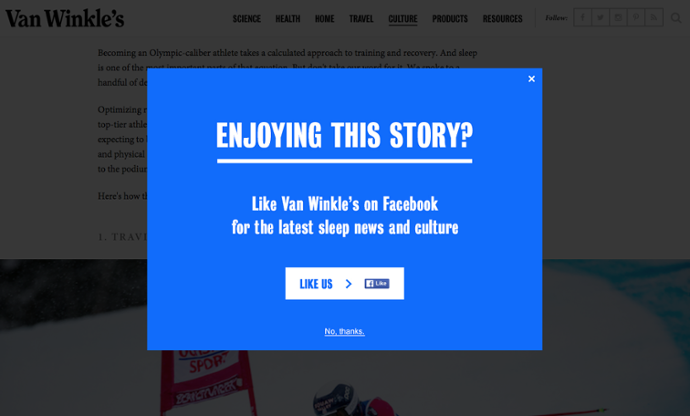 This popup is quite good because it appears half way through when you’re reading a story. And if you’ve got that far, chances are that you are enjoying the story, so why wouldn’t you like their Facebook page for more? Most of the time people tend to be logged in on their Facebook account already so this is a super fast call to action. 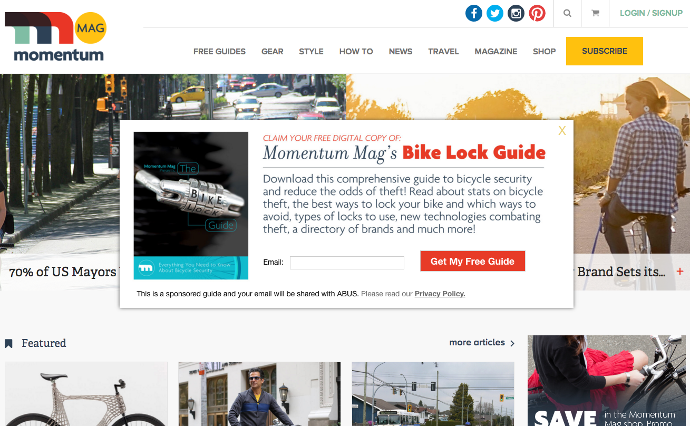 This popup from Momentum Magazine offers a ‘Bike Lock Guide’ and we like this because of the little paragraph of copy outlining what’s in the guide and it sells the idea to you instantly – of course we all want to avoid theft and keywords such as “comprehensive”, “stats” and even the “directory” sell it to us. Here Pet Flow is offering the chance to win 1 of 3 $100 shopping sprees. All you have to do is enter in that email. The fact it says 1 of 3 will appeal to people because well, you’re 3x more likely to win if there’s 3 available, right? 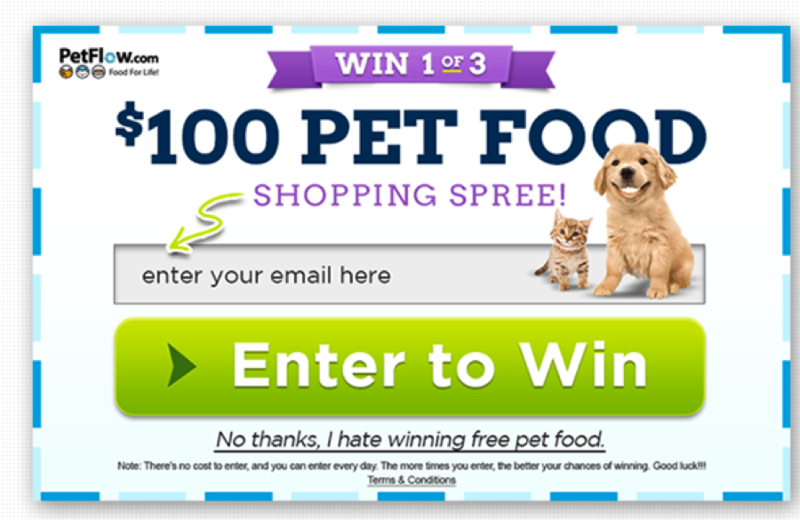 And the recurring theme of silly “No” statements is present here with, “No thanks, I hate winning free pet food”. It’s one of those “Oh well, I’ve got nothing to lose?” kind of deals. 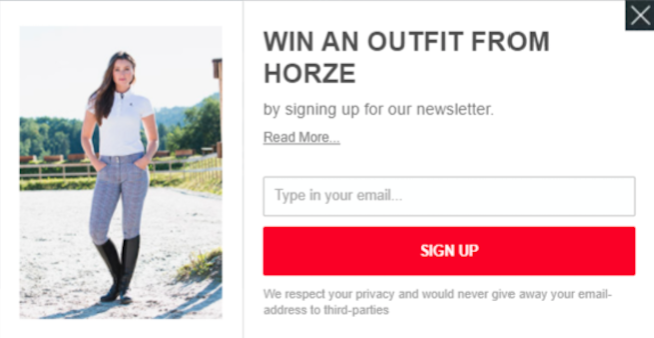 This popup from UrbanOutfitters basically says “Sign up! This will be the best decision of your day!” In just one sentence they’ve managed to get across their brand personality. Sometimes just telling people what to do works. Pinterest have a popup that calls for referrals and offers discounts for iPhone 6 accessories. Making use of targeted traffic is one of the best ways to increase opt ins. If you get a lot of traffic from a particular social network consider showing them targeted messages. The copywriting here is pretty good. Starts off with a fact, an affirmation about their value to you, and ends with a powerful adjective: “disruptive”. We also like that you can just login through Facebook here. This popup from The Couturing Online Store is straight up and to the point. Give them your email and get 20% off. Just one simple form box. Purely transactional. 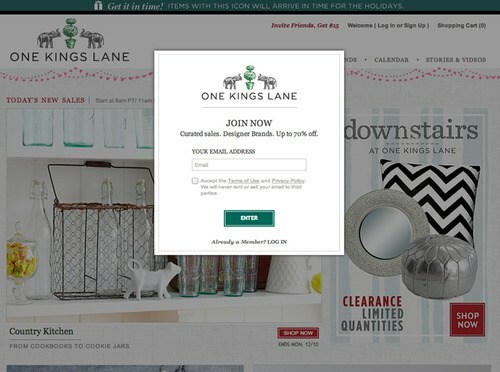 One Kings Lane uses really short sentences for their copy and finish off with the simple 70% off. The smaller sentences make everything easier to remember. This is what we would call a popup “cluster”. 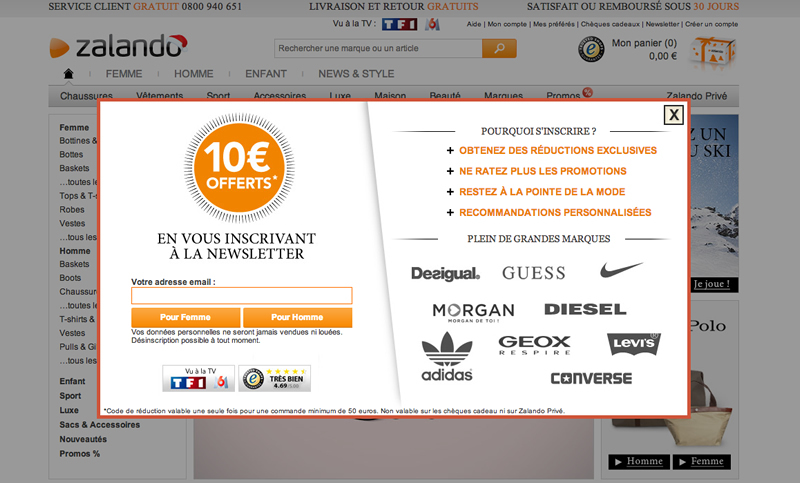 It seems like Zalandu have taken every possible exit intent into consideration and tried to cover it in one pop up. They’ve got the money-off offer, the email form, “As Seen On TV” stickers, benefits, and a client list. It’s a different way of going about things, that’s for sure. A bit of a shock and awe tactic. Here Bow Wow Ties have offered some content marketing in the form of a 10 point check list, but have only offered the first 2. Enough to get you interested. For your email you can have the whole list, and why bother leaving the page to Google it yourself, just to defy the marketing? This was a great idea. 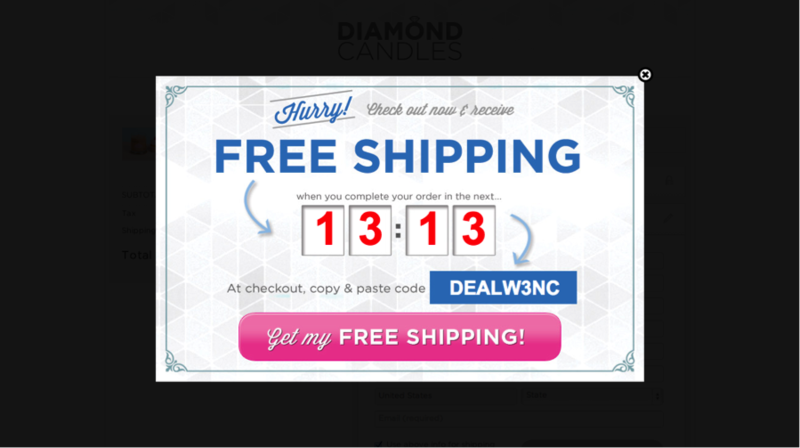 This popup doesn’t even ask for your email, it just convinces you to finish the purchase and doesn’t even bother with the remarketing aspect. You’re given a timer to complete the purchase with a coupon. Find us better exit intent technology examples! Another great example of content marketing, this popup doesn’t ask for your email either, it just suggests you read a blog post. This is a good effort at engraining brand value and awareness. Sometimes it’s not all about the sale! 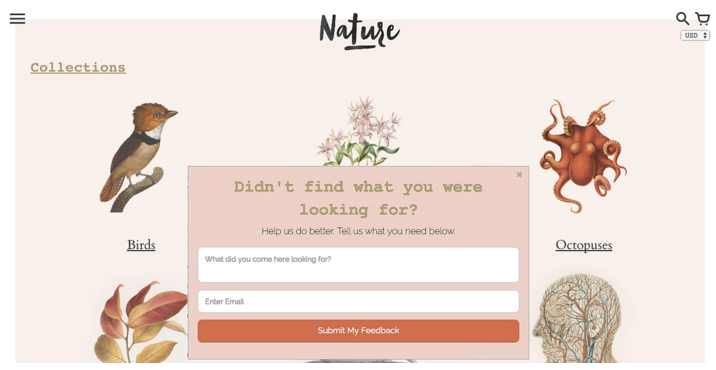 This is one of our favourites – one of the prettiest exit intent popup examples. If you’re going to ask for their email because they’re leaving, why not ask them why they’re leaving? You get their email and their feedback. A nice 2ferwun. 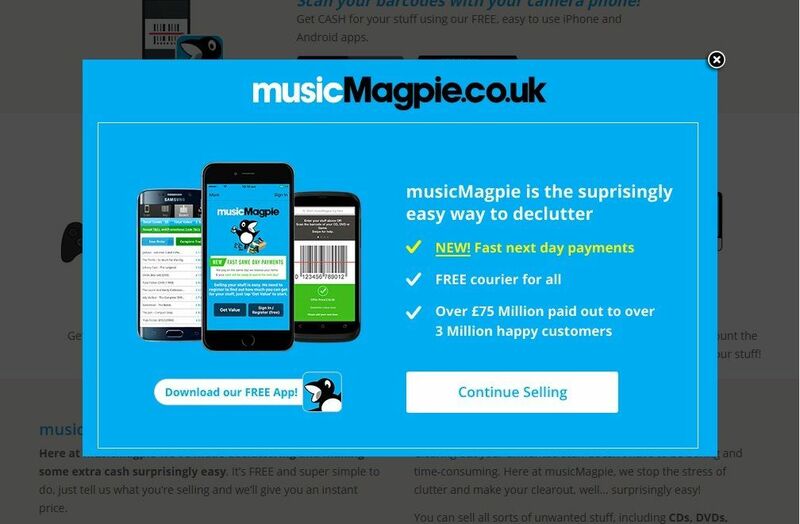 The Music Magpie website is using this smart exit popup example to encourage users to download their app. This provides a perfect, closed environment for the music site to engage with their users. Stellar. 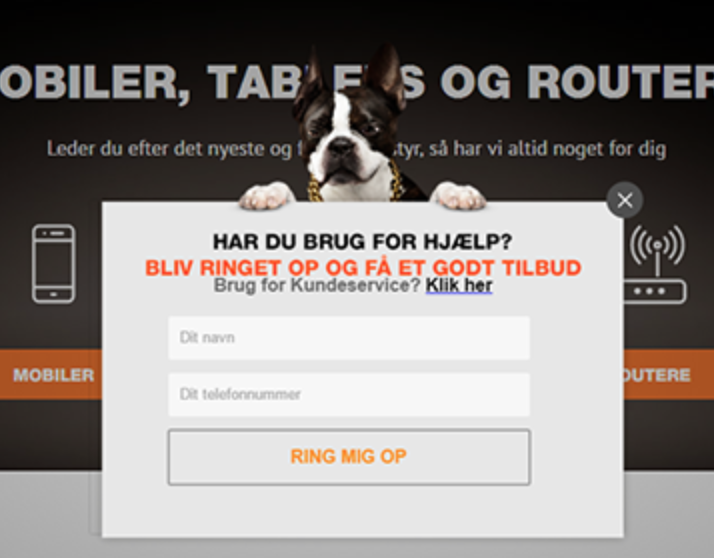 We’re guessing that most of you don’t speak Danish, so you’ll just have to take our word for it, but this pop-up for the Scandinavian branch of phone company 3 has created some dramatic returns. Popping up when the user is about to leave the website, it asks whether they would let one of the telemarketing team give them a ring. 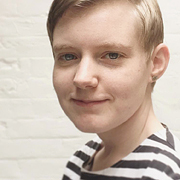 Project Repat is a Boston based company that creates personalised quilts made from up-cycled t-shirts. The customer sends in their t-shirts and gets a quilt made out of it. Pretty neat idea, right? 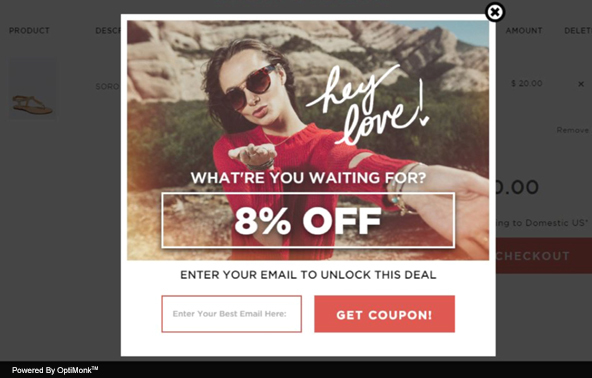 Well, using this simple exit intent popup example, the company have managed to save 5% of their abandoned carts and have generated 84,000 email subscribers. 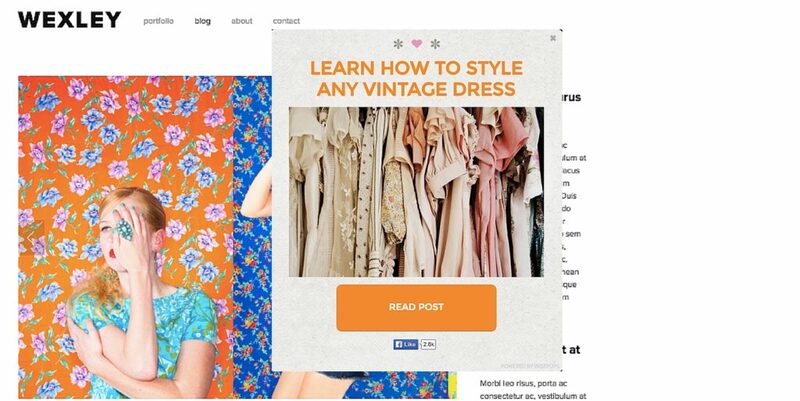 It’s not just digital businesses that can benefit from exit intent popups! No! This is a perfect example of how restaurants can use the technology to generate leads. 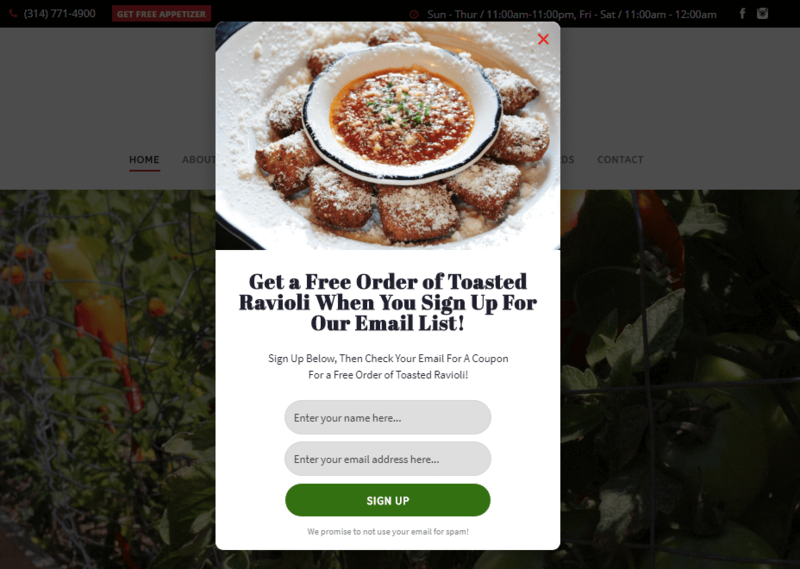 Offering subscribers free ravioli when they sign up – who doesn’t love free food? – the restaurant can’t lose. If a customer comes in, they’ll order more, if they don’t, they won’t get their ravioli. Tasty. 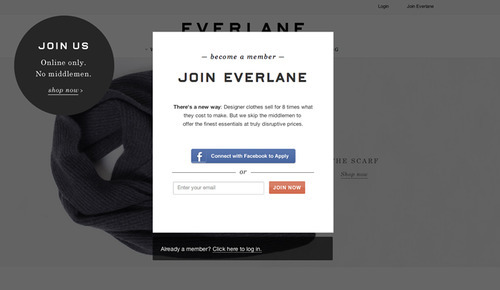 Enjoy our exit intent popup examples? Subscribe to keep updated to our latest posts!